The broad adoption of 4G, along with advances in low-power computing and networking, are paving the way for legions of smart, connected devices. These devices can host single or multiple applications, make autonomous decisions, and share resources and information with each other. Business decisions are faster because it is no longer necessary to wait for a response from a central management application or operator. These advances make it possible to collect and process vastly greater volumes of data in real time. As intelligent devices perform increasingly massive data processing at the network edge, smaller result sets are reported to central management and control centers, which are often legacy systems, without overwhelming these applications with too much information. This big data revolution requires not only intelligence, but convergence: smart devices must be able to run applications, must be connected to the cloud, and must provide an abstract interface to real-world devices and equipment. It is now possible to connect legacy serial-based equipment to a smart device and control it programmatically over standard IP-based networks. The old and the new can now talk to each other, make their own decisions automatically, and backhaul to a cloud-based management system that’s accessible from anywhere. Smart, connected devices act together not just as discrete units but as virtual nodes of a distributed intelligence platform. In a convergent solution, a development platform is essential because it provides the abstraction layer for designing a solution that can evolve along with the technologies and business needs of an organization, without breaking when equipment is updated or replaced. A consistent API provides stability to the application code, minimizing the changes needed. When the application must evolve, the devices can be updated in real-time over the 4G network. As smart, connected devices proliferate, the availability of development platforms from a device manufacturer and solution provider with long-standing experience make today a perfect time to design powerful solutions. 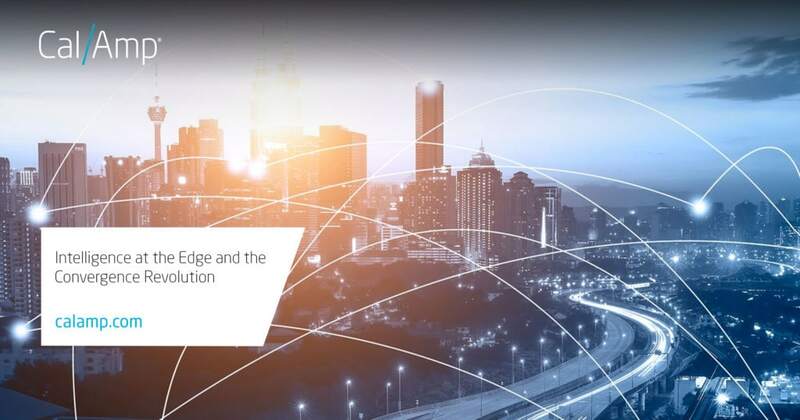 For more information about intelligence at the edge and convergent solutions, check out our Convergence: Enabling Intelligence at the Edge white paper.